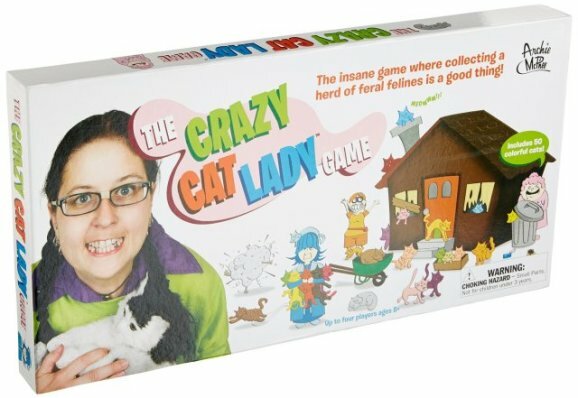 crazy cat lady you can give it a try with this Crazy Cat Lady Game. The players each need to run errand and they find needy cats along the way. The idea is to collect more cats than your opponents. You can gain cats by landing on spaces that read "Rescue a Grumpy Old Cat from Pound," or "Save a Cat Stuck in a Tree." You can also lose cats when you land on "Beware of Dog" or "Kitten Distracted by Bit of Fluff." The fame comes with four playing pieces and fifty plastic cats. Naturally, the one who collects the most cats wins and is the craziest cat lady of all. The customer reviews of the game are overwhelmingly positive. This makes a great gift for cat lovers. 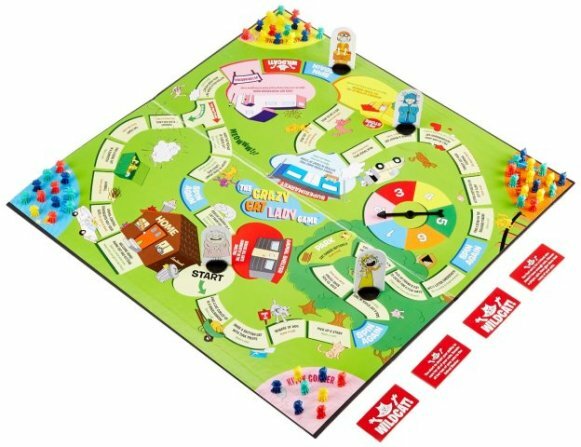 To order the Crazy Cat Lady Game, click here.